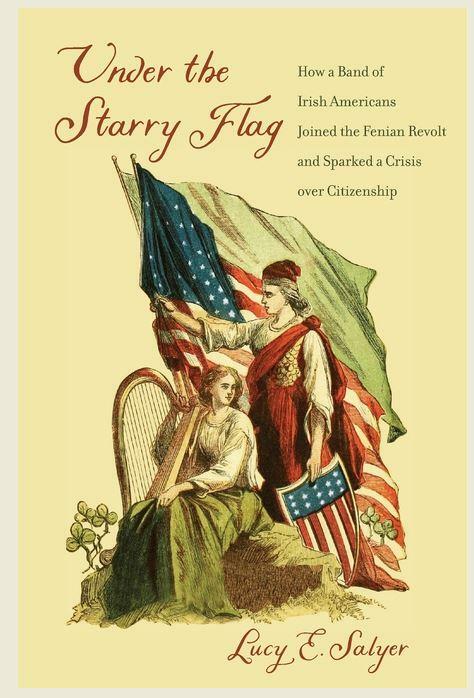 In her new book, Under The Starry Flag, Lucy Salyer tells the story of a group of 40 Irish Americans who sailed to Ireland in 1867 to join the effort to end British rule. But the men, many of whom had fought in the American Civil War, were arrested by British authorities for treason as soon as they landed. Their arrests sparked an international conflict that brought the United States and Britain to the brink of war. The legal saga, a prelude to today's immigration battles, dramatized the idea of citizenship as an inalienable right and provoked a human-rights revolution. Listen to our conversation with Lucy Salyer, author of Under The Starry Flag. Lucy E. Salyer - Associate Professor of History at the University of New Hampshire and author of Laws Harsh as Tigers: Chinese Immigrants and the Shaping of Modern Immigration Law, which won the Theodore Saloutos Book Award for the best book on immigration history.